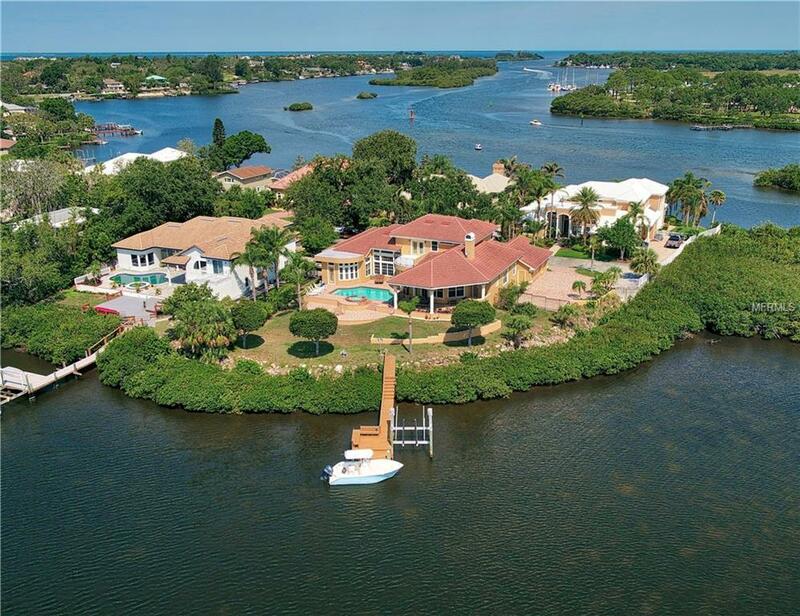 Custom Costanza Built Waterfront Paradise! Over 277 feet of sweeping waterfront views provide unparalleled vistas of Tarpon Springs from this resplendent escape. Enter your tropical paradise down the dead end street!! 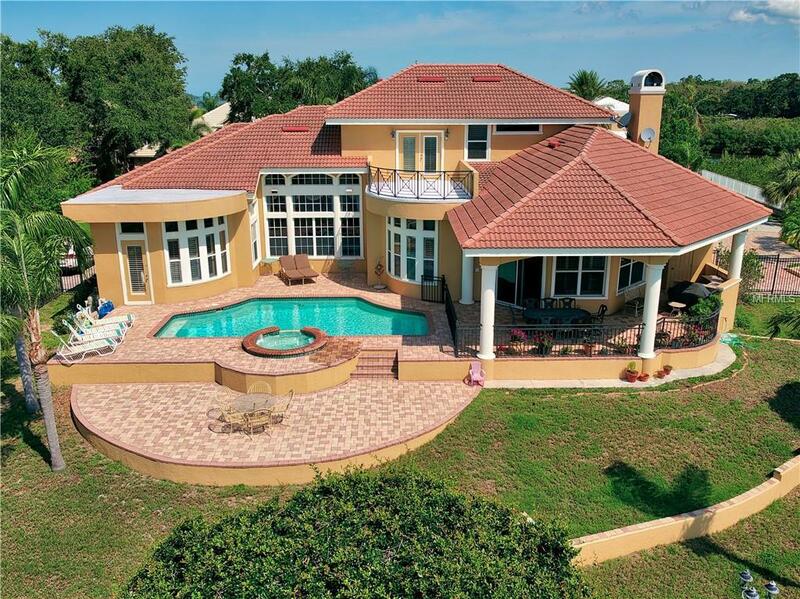 Every thought was put into this build by one of Tampa Bays most Award Winning Master Homebuilders! The exceptional design & architectural details of this home will amaze you. This luxurious 4,469 sq ft, 4 bedrooms plus library & bonus room provide ample space and options for today's lifestyles. Natural Light, Volume Ceilings, Wrought Iron Staircase, Tray Ceilings w/ custom crown molding, 2 Fireplaces and Beveled Glass Double Doors are just a few of the touches that make up this estate! 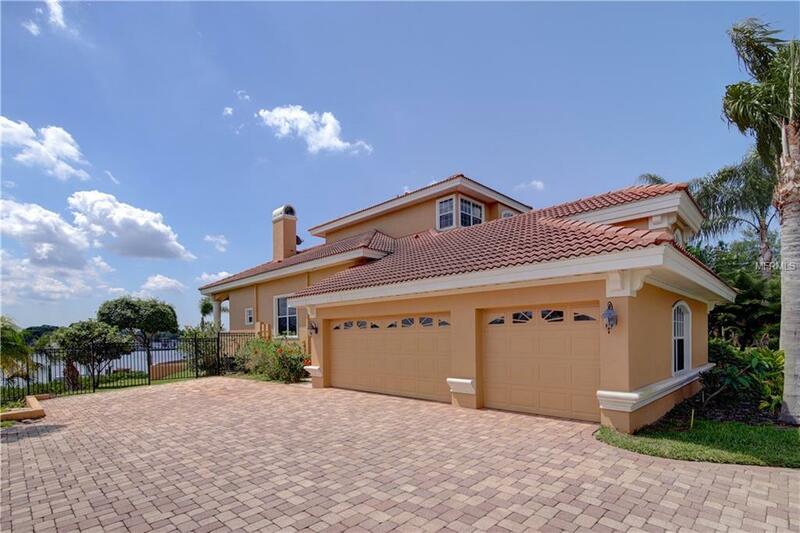 A true chefs kitchen with Raised Panel solid wood cabinets w/ crown molding, granite countertops, stainless steel appliances, custom stainless steel range hood, flat top range and expansive breakfast bar all with views of the pool and water! The ultimate in resort-style luxury, the outdoor entertainment area is highlighted by a brick paved pool with spillover spa, lush landscaping & covered dining terrace. Grab your fishing gear and head down to your custom built dock complete with bench seating, boat lift, water and electic! Just a short boat ride to the Gulf of Mexico, Anclote or 3 Rooker Island! Creative Architecture and Master Craftsmanship make this waterfront paradise a must see!